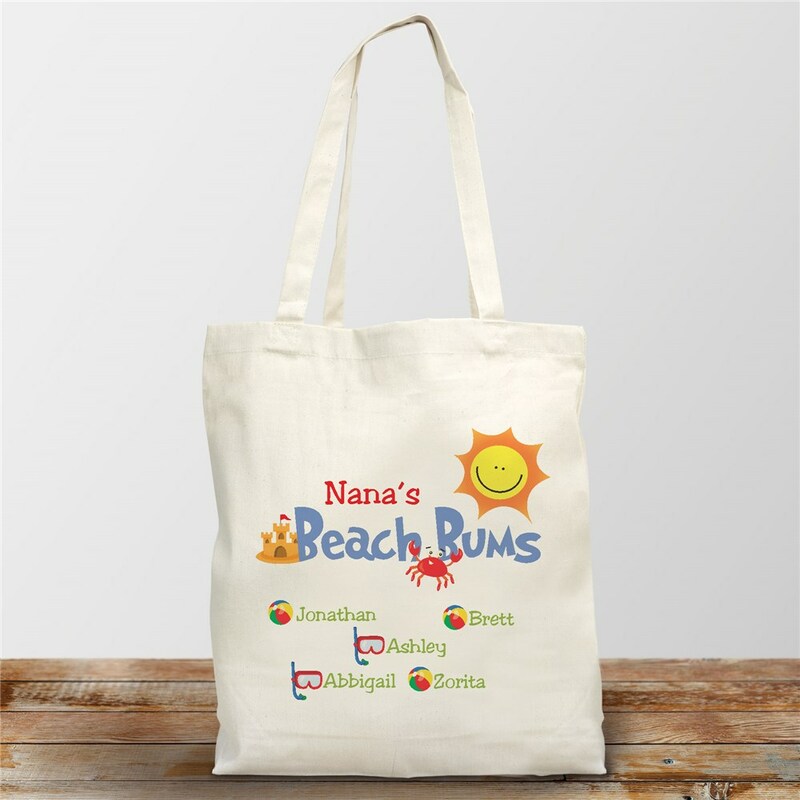 Days relaxing at the beach, enjoying good company and fun times will be even simpler with a Personalized Beach Tote Bag for Grandma, Mom, Aunt or Best Friend. Make every journey to your favorite beach a great time with a Personalized Beach Bum Tote Bag. A fun gift for the summertime. Your Personalized Vacation Canvas Tote Bag is a 100 % cotton Canvas Tote Bag measuring 16" h x 14" w. This personalized tote bag is made especially strong to hold all your take along items. Includes FREE Personalization! Personalize your Beach Bum Tote Bag with any title and up to 30 Names. Your personalized tote bags can have any title: Mom, Grandma, Nana, Aunt Betty or any special title. Great shopping experience and love the bag!